Aurum Cables Certified High Speed High Speed HDMI Cable with Ethernet - Supports 3D, Audio Return Channel and Up To 4K Resolution - CL3 Rated * HDMI cable with AUDIO RETURN - combines both audio and video into one cable * Ethernet Channel For Sharing Internet Between HDMI Devices * Compatible with all HDMI Devices HDMI combines both audio and video into one convenient cable, so it's all you need to connect your HDTV to your A/V receiver, Blu-Ray / DVD player, Microsoft XBOX ONE, Microsoft XBOX 360, Sony PlayStation 4, Sony PlayStation 3, Nintendo Wii U, High Definition (HD) Cable Box, Personal Computer, Laptop, Netbook or any other (High Definition Multimedia Interface) device with an HDMI output. Compatibility - Supports 3D Content - Guaranteed 4Kx2K, 1440p, 1080p, 1080i, 720p, 480p, and 480i Resolutions - Supports Audio Return Channel - Supports Highest Refresh Rates up to 240hz and 48-Bit Deep Color - Supports Transfer Rates of Up to 340Mhz or 10.2gbps - Supports True HD Dolby 7.1 and DTS-HD Master Audio - HDCP Compliant Quality Construction - Full Metal Shielding within connectors For durability and Interference protection - Shielding throughout Cable - HDMI connectors are 24K Gold plated. 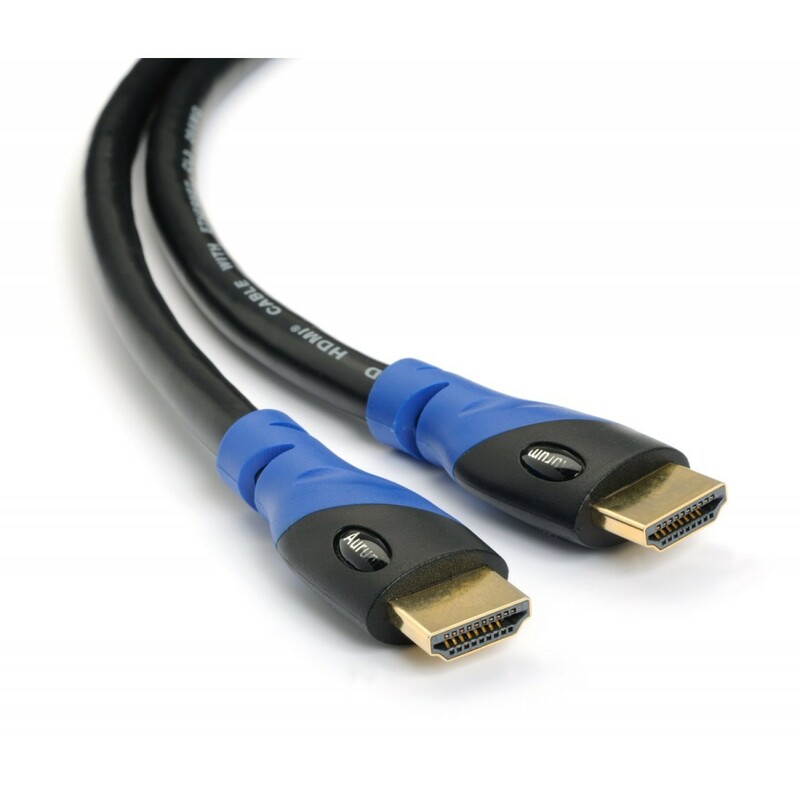 Additional Sizes Available Aurum HDMI Cables are available in a large variety of lengths. Just search for Aurum Cables in the search box. 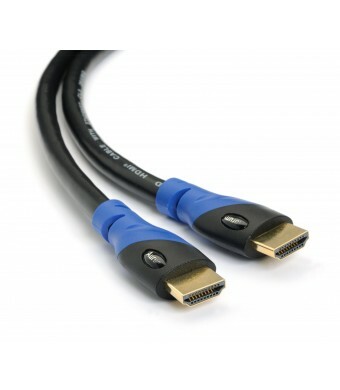 Buy with Confidence All Aurum Cables HDMI cables are backed by a Limited Lifetime warranty. Please contact us via email if you have any questions or concerns.